This is an acrylic painting on a hardboard panel. This painting measures 12″x 16″. 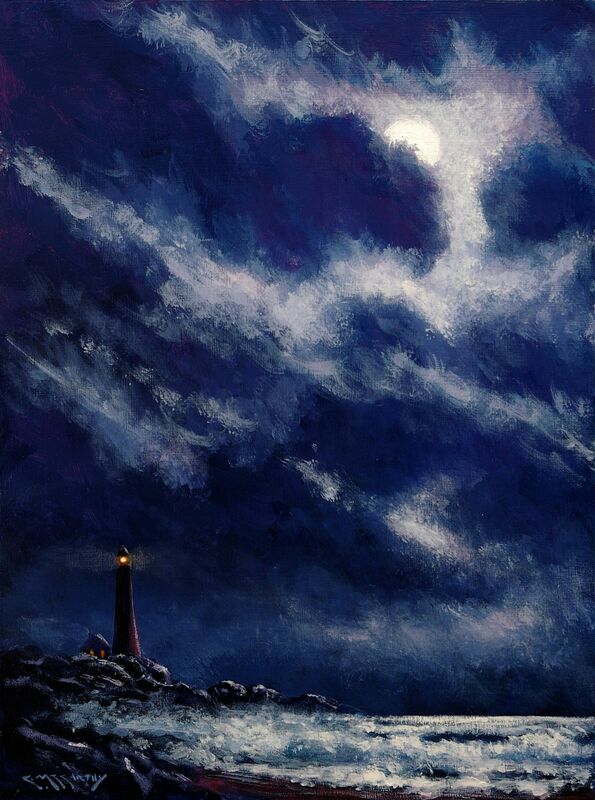 This is a painting of lighthouse on the coast, under a stormy moonlit night. My aim was for romance. This painting is being sold unframed.